For those automotive applications that require High Q, low loss MLCC’s the Syfer branded ‘X8G HighQ series now also has AEC-Q200 qualification. These low ESR HighQ parts are manufactured with a Copper electrode for optimum performance at high frequencies and are rated to work over the temperature range -55ºC to +150ºC. The capacitance range of 0.3pF to 100pF is covered, with rated voltages up to 500V. They will also find a home in many other applications such as networking & wi-fi, as well as use in safety systems such as radar. 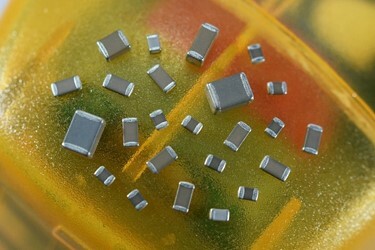 Again, lead-free RoHS and REACH compliant termination options.